There are countless examples of how psychology can influence our health. There are many stories, for instance, of recently bereaved individuals dying soon after their partner; a study of recently widowed individuals found that during the first week after bereavement, mortality was twice the expected rate. There are also cases where a terminally ill patient survives for months longer than expected in order to attend an important occasion, such as a family wedding. However, telling patients that they are terminally ill and have only a few months to live can also hasten their death. A strong association has been found between sustained stressful life events and gastrointestinal disorders, inflammatory bowel disease and irritable bowel syndrome. It is well established that cancer patients’ mood and outlook, and the psychological support they receive can hugely impact the outcome of their disease. Studies have shown that elevated levels of fear or distress before surgery are associated with longer stays in hospital, more postoperative complications and higher rates of rehospitalization. A study of patients with chronic lower leg wounds found that those with the highest levels of depression and anxiety showed significantly delayed healing (Newman, 2016). The level of social support from family, friends and the wider community is a vital factor in physical and mental health. People who feel lonely, depressed and isolated are significantly more likely to suffer illnesses and die prematurely (i.e. before their 70s) than those with adequate social support (Micozzi & Jawer, 2015b). In fact, being socially integrated is more important to a person’s health than stopping smoking or reducing cholesterol levels. Moderate alcohol and tobacco consumption can often reduce the level of stress. A happy, cheerful, optimistic attitude and positive emotions have a beneficial impact on health. Humour and laughter can reduce stress and boost the immune system, at least temporarily. Thomas Sydenham, a 17th-century physician, wrote: ‘The arrival of a good clown exercises a more beneficial influence upon the health of a town than of twenty asses laden with drugs.’ And writer and humourist Mark Twain once said: ‘Humor is the great thing, the saving thing. The minute it crops up, all our irritations and resentments slip away and a sunny spirit takes their place’ (Adams & Micozzi, 2015). In the mid-1800s Western scientists began to question the need for medicine to focus on the mind as well as the body. They came to believe that since the immune system’s classical messaging system – the lymphatic system – is not present in the central nervous system, communication between the two was impossible. However, the 1970s and early 1980s saw the emergence of a new branch of science, known as psychoneuroimmunology, and various mechanisms have since been uncovered that allow neural processes to interact with the immune and endocrine systems. For example, in 1981 a network of nerves leading to blood vessels and cells of the immune system was discovered. In 1985, neurotransmitter and neuropeptide receptors were discovered on the cell walls of both the brain and the immune system, showing that the nervous system’s communication chemicals can directly influence the immune system. Studies show that brief stressors, like examinations, tend to suppress cellular immunity (which deals with cellular invaders) while preserving humoral immunity (which normally deals with pathogens outside of cells, such as parasites and bacteria), while chronic stressors – such as caring for a partner with dementia – tend to suppress both types of immunity (Newman, 2016). 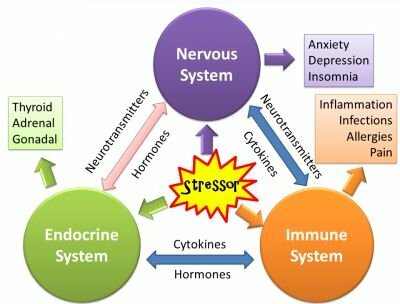 Studies of cytokines (substances secreted by immune system cells) show that, in addition to the immune system being weakened by psychological factors such as stress, deviations in the immune system can trigger psychological and behavioural changes. 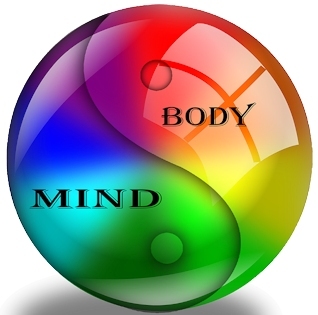 A 2004 survey found that one in five adults in the United States had used mind-body therapies during the previous year. The most frequently used therapies were relaxation techniques, guided imagery, biofeedback and hypnosis. Patients used these techniques for treating chronic diseases such as anxiety, depression, headaches, back or neck pain, heart problems or chest pain, arthritis, digestive disorders, and fatigue. Between 29% and 55% of patients found these therapies ‘very helpful’ (Amri & Micozzi, 2015). Orthodox, materialistic science reduces mind to a byproduct of the brain. Different mental states and processes are certainly correlated with different patterns of neural activity, but they cannot be equated with them (see John Eccles on mind and brain). Even neuroscientists admit that ‘In the deepest sense, we do not know how information is processed, stored, or recalled; how motor commands emerge and become effective; how we experience the sensory world; how we think or feel or empathize. 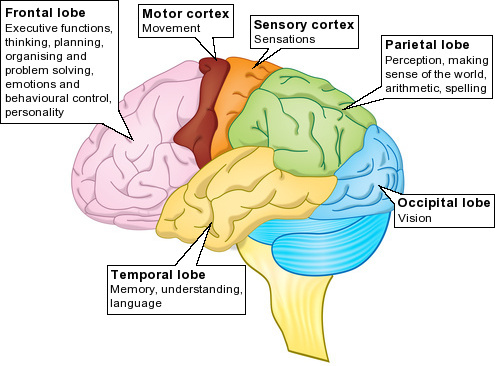 ... [T]he brain is significantly more than the sum of its parts’ (ncbi.nlm.nih.gov). functions is not the same as ‘explaining’ mind and consciousness. 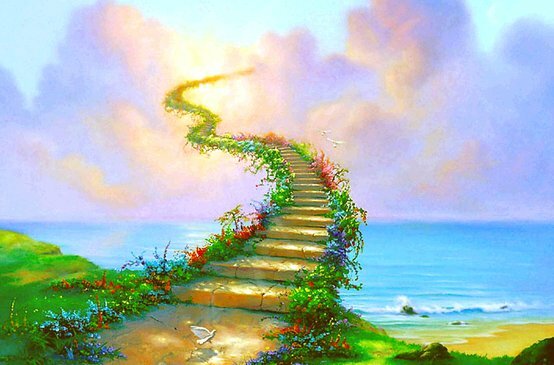 The theosophical tradition recognizes that consciousness is neither produced by nor confined to physical bodies (see Life beyond death); consciousness-substance is eternal, infinite and indestructible, but manifests in an infinite variety of impermanent, ever-changing, sentient forms. 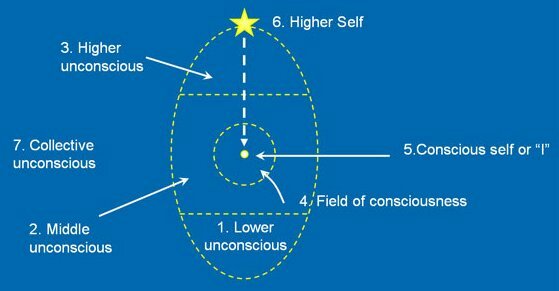 Humans consist of a series of interpenetrating and interacting vehicles of consciousness composed of different grades of energy-substance: the spiritual-divine self works through the reincarnating soul (higher mind), which works through the lower mind (kama-rupa or ‘desire body’), which works through the astral model-body, which works through the physical body. All these various components separate and undergo different processes after death (see Our after-death journey). A placebo is an inert substance (e.g. a sugar pill or saline injection) or a sham procedure that should have no therapeutic effect. However, patients who think they are receiving a genuine treatment often report positive results – this is known as the placebo effect or placebo response (placebo in Latin means ‘I will please’). In one study, for example, people were given a pill that they were told was a stimulant. As a result, their pulse rate and blood pressure increased and their reaction speeds improved. When people were given the same pill and told it would help them sleep, they experienced the opposite effects. In another study, 30% of the patients unknowingly received placebos instead of chemotherapy but still experienced the expected hair loss. Every therapeutic intervention – whether in complementary and alternative medicine, or in conventional (allopathic) medicine – involves a placebo effect. When a new treatment is introduced, most patients will tend to have a good or excellent response for several years, until the treatment becomes discredited or is superseded by still newer technology. An estimated 50% of the therapeutic benefit of any drug is related to the placebo effect. On average, 35% of patients experience placebo effects, but response rates range from 15% to 80% (Beecher, 1955). The variation is due to factors like the patient’s level of suggestibility and level of expectation, and the physician’s ability to instil confidence and hope in their patients. There is evidence that patients who know they are receiving a placebo still report improvement in their condition if they are told that the placebo can make them feel better. Patients can also experience adverse effects from a placebo – this is known as the nocebo effect (nocebo in Latin means ‘I will harm’). 20% to 30% of patients who unknowingly receive placebos experience mild side effects, including swelling, pain, diarrhoea, nausea, palpitations, itchy skin and rashes. The rate of nocebo responses also varies considerably. One sham treatment (a nonexistent electric current applied to the scalp) produced headaches in 70% of healthy subjects. There are many anecdotes about physicians or clergy giving end-of-life care or administering extreme unction rites to the wrong patient; that patient subsequently dies, whereas the intended recipient survives for a lengthy period. Health scare stories in the media can also have a nocebo effect. Thomas Jefferson (1743-1826) reported that the most successful physicians of his day made widespread use of bread pills or coloured water. Nowadays, most professional codes of ethics regard placebo use as unacceptable (except when people agree to take part in the testing of drugs). However, a survey of internists and rheumatologists in the United States found that half had prescribed placebo treatments on a regular basis within the previous year, including saline, sugar pills and vitamins (Amri & Micozzi, 2015). A study of physicians in Israel found that 60% used placebos in their medical practice. Of these physicians, 62% prescribed a placebo at least once a month, 68% told patients they were receiving actual medication, and 94% reported that they found placebos generally or occasionally effective (Nitzan & Lichtenberg, 2004). Mental problems are common worldwide. Over a quarter of American adults experience depression, anxiety or some other mental disorder in any given year. People may need help coping with illness or the death of a loved one, or dealing with relationship problems, job loss, stress, obesity, smoking or drug addiction, and so on. Psychotherapy – sometimes called talk therapy – provides a supportive environment that allows people to talk openly with a neutral, nonjudgmental psychologist, who helps them to alter their thought and behaviour patterns for the better. This approach rejects the idea that psychological problems are simply the result of chemical imbalances that can be treated with drugs alone. Surveys show that about 75% of people who enter psychotherapy show some benefit. A 2006 study of treatment for depression and anxiety found that there was a lower risk of symptoms returning after treatment ends (apa.org). Psychotherapeutic treatment can also hasten recovery from a medical crisis. Several hundred types of psychotherapy are available, provided individually or in groups, but research suggests that the methods do not differ greatly in effectiveness. Many psychologists blend elements from different approaches. The many different schools of psychology span a wide range of philosophical viewpoints, from mechanistic materialism to transpersonal and spiritual perspectives (Capra, 1983, chs. 6 and 11). For instance, behaviourism, founded by J.B. Watson, reduces mental phenomena to patterns of behaviour, and reduces behaviour to conditioned responses to environmental stimuli; it dismisses the notion of a conscious self as a fiction. According to Sigmund’s Freud’s theory of psychoanalysis, our conscious mind (ego) is engaged in a constant conflict between unconscious sexual and aggressive impulses arising from our unconscious (id) and societal demands to restrain these impulses, internalized in our conscience (superego). While behaviourist theories rely heavily on studies of animal behaviour, Freud’s theories are based largely on studies of neurotic and psychotic individuals. According to Carl Jung’s analytical psychology, in addition to our personal unconscious we have a collective unconscious, containing patterns of memories, instincts and experiences common to all humanity, including archetypal images and motifs. His personal religious experiences convinced him of the reality of the spiritual dimension of life, whereas Freud dismissed religion as an ‘obsessive-compulsive neurosis of mankind’, and believed that the mystical quest could be explained as an infantile longing for the peaceful, ‘oceanic’ feeling a person experienced as a child when suckling at their mother’s breast! The development of humanistic psychology was spearheaded by Abraham Maslow (1908-1970). He emphasized that humans should be studied as integral organisms, and concentrated on healthy individuals and positive aspects of human behaviour. He believed that humans strive for self-actualization, or realization of their full potential, once their more basic needs are met. Another approach that integrates psychological and spiritual elements is psychosynthesis, developed by Roberto Assagioli (1888-1974), who was deeply influenced by theosophy. He, too, felt that Freud had not given sufficient weight to the higher aspects of human nature. 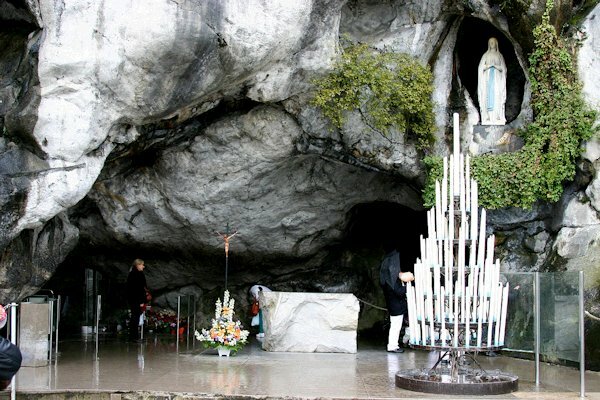 He stated that ‘spiritual drives or spiritual urges are as real, basic and fundamental as sexual and aggressive drives’ (Assagioli, 1965, 194). The methods used in psychosynthesis include guided imagery, movement, creativity, meditation, will development, symbolic art work, journal keeping and development of intuition (synthesiscenter.org). Above: Assagioli’s egg diagram, representing our total psyche. Below: His star diagram, representing our psychological functions. 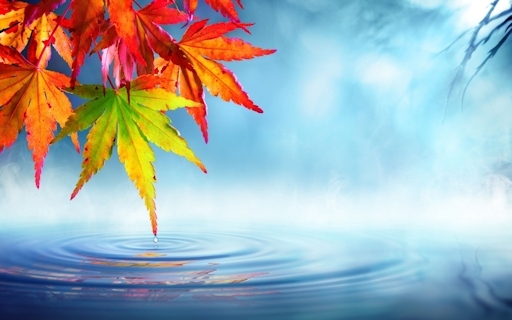 Spiritual psychosynthesis aims at the fusion of the centered or personal self with a Higher Self within, so that the individual becomes purposeful, wise, loving, creative, and a positive force in the healing and growth of humanity. It is often said that Freudian patients have Freudian dreams while Jungian patients have Jungian dreams – meaning that the contents of our mind are plastic enough to be force-fitted into any preconceived scheme. Regardless of a particular psychologist’s theoretical and philosophical leanings, their clients can experience relief from their psychological problems and suffering as long as they feel that they are being listened to and taken seriously, and are helped to work through their problems and let go of some of their mental baggage. Temporary relief is of course not the same as a permanent cure – from a theosophical perspective the latter may require many lifetimes of character building and self-improvement. Stressful situations need not undermine our health. Harmful stress results from an interaction between a negative environment, unhealthy lifestyle, and self-defeating attitudes and beliefs. The long-term effects of stress can include physical illnesses such as ulcers, headaches, chronic backaches and high blood pressure, which can ultimately result in heart disease, cancer or other chronic disorders. People who learn to manage stress are more resilient, experience fewer symptoms and enjoy a better quality of life. Exercise and physical fitness can lessen the impact of stressful events on physical and psychological health. The same applies to relaxation and meditation, which can reduce metabolic rate, heart rate and blood pressure, and increase alpha brainwave activity. 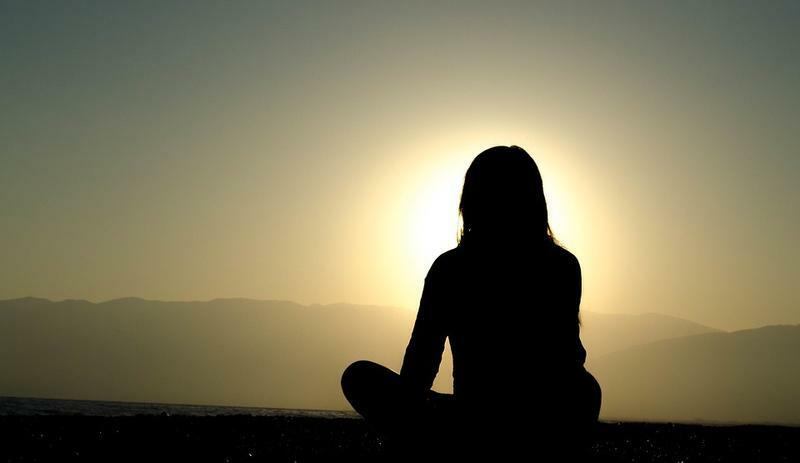 Meditation has traditionally been used for religious and spiritual purposes, but over the past 30 years it has been explored for relaxing and calming the body and mind. As far back as 1997, more than 42% of the adult US population used complementary and alternative medicine to manage cancer and other chronic diseases. Meditation is one of the most common practices among them, and a growing body of evidence shows that it alleviates anxiety, fosters a positive attitude and improves the immune response. Transcendental Meditation (TM) was introduced in the mid-1960s by Maharishi Mahesh Yogi, who simplified meditation by omitting difficult physical postures, procedures and mental exercises. Research has shown that TM is associated with reduced healthcare costs, increased longevity, better quality of life, reduced anxiety, lowered blood pressure, reduction in chronic pain, and alleviation of post-traumatic stress syndrome in war veterans (Micozzi & Jawer, 2015b). ‘Mindfulness’ is a popular word nowadays, and is particularly associated with the Buddhist tradition. It is not just about feeling relaxed or stress free; the deeper purpose is to achieve an inner balance of mind that allows an individual to face life situations with greater clarity, understanding and equanimity. The theosophical philosophy is of vital importance in this regard: it teaches that we are not the helpless victims of chance or fate, but multidimensional beings whose purpose is to unfold our spiritual potential by pursuing the path of altruism and compassion; we learn from our mistakes by experiencing in each incarnation the karmic consequences of past thoughts and deeds. Guided imagery is a gentle but powerful technique that focuses the imagination for positive, healing and motivational purposes. It is sometimes called visualization, but it can involve any or all of the senses. Guided imagery is also known as guided meditation, as it often involves directed concentration. Guided imagery has been demonstrated to bring about a wide variety of benefits, including the reduction of pain and anxiety, improved immune responses, accelerated wound healing, and reduction in the size of cancerous tumours. It is also used to curtail addictive behaviour. Needless to say, negative images can produce nocebo-type effects. Of all the many mind-body techniques, guided imagery is the most widely used in many nursing departments. In a study at a children’s hospital, 18 children aged 5 to 12 with chronic abdominal pain were taught guided imagery and progressive relaxation techniques over a period of nine months. Abdominal pain decreased in 89% of the patients and their quality of life improved (Micozzi & Jawer, 2015b). Biofeedback therapy uses monitoring devices that measure bodily functions such as heart rate, respiration, blood pressure, muscle tension, skin temperature and brainwave activity. These processes are normally controlled involuntarily by our autonomic nervous system. Patients receive feedback on these physiological activities on a computer screen or through sounds, and the aim is to learn to consciously alter them to improve their health. Biofeedback is used for treating conditions like headaches, anxiety, high blood pressure, chronic pain, muscle disorders, asthma, and incontinence. It is also helpful in training patients to use artificial limbs after amputation, and to deal with ‘phantom limb’ pain. Neurofeedback (or neurotherapy) is aimed at correcting irregular brainwave patterns to alleviate conditions like epilepsy and attention-deficit/hyperactivity disorder. The general goal of biofeedback therapy is to lower body tension and to modify faulty biological patterns to reduce symptoms. Many people can and do reach goals of relaxation without the use of biofeedback. Although biofeedback may not be necessary, it can potentially add something useful to any treatment. 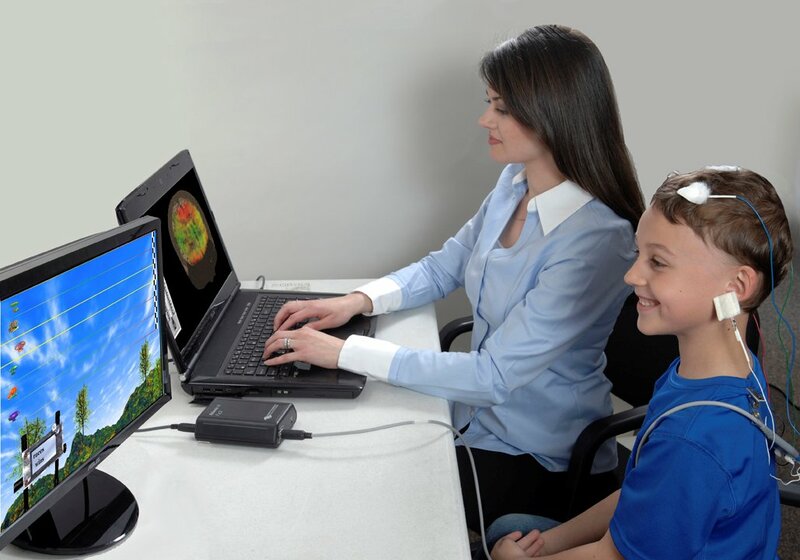 A major reason that many patients find biofeedback training appealing is that, as with behavioral approaches in general, it puts the patient in charge, giving the patient a sense of mastery and self-reliance with regard to the illness. The Society of Psychological Hypnosis defines hypnosis as: ‘A state of consciousness involving focused attention and reduced peripheral awareness characterized by an enhanced capacity for response to suggestion’ (apadivisions.org). Hypnotizing someone involves inducing some degree of hypnotic trance. Physiologically, hypnosis resembles other forms of deep relaxation: it decreases sympathetic nervous system activity, oxygen consumption, blood pressure, heart rate, and brainwave frequencies. There are many everyday experiences in which we become relatively unaware of our immediate surroundings. These include being lost in thought or daydreaming; absorption in sport, reading, listening to music, etc. ; and driving for long distances and not recalling the route taken. The big difference with a hypnotic trance, however, is that a hypnotized person has largely surrendered control over their mind to the hypnotist. People display different degrees of hypnotizability or suggestibility. About 10% of people are highly susceptible to hypnosis, 10% are relatively impervious, and 80% fall somewhere in between. It is commonly claimed that people cannot be hypnotized against their will, and that a hypnotized person cannot be made to do anything they do not want to do. However, there is plenty of testimony that powerful hypnotists can do exactly that. A hypnotist can give their subjects suggestions that affect what they see, hear or feel. If a hypnotized person is told ‘your arm is becoming lighter and beginning to rise into the air’, they will usually feel that it is rising into the air involuntarily. Scenarios that subjects are told to imagine can be experienced as real. For instance, the hypnotist might give a suggestion to ‘hear the voice of a friend speaking to you’ or ‘see a cat in your lap’. A therapist using hypnosis might suggest to their clients that they are watching memories of a traumatic event without feeling overwhelmed. Subjects may or may not remember what happened under hypnosis, depending on the level of trance. They are less likely to remember if the hypnotist suggests that when they wake up they won’t recall anything that happened. Subjects can also be given a post-hypnotic suggestion (e.g. ‘Later, when I click my fingers, you will scratch your nose’). In one hypnosis study, participants were given a suggestion to see a greyscale picture in colour. Activity in their visual cortex indicated that they really saw colour, even though it was not present in the actual pictures. In another study, a heat-pad was strapped to the participants’ hands and the hypnotist suggested that it would heat up to a painfully hot temperature. 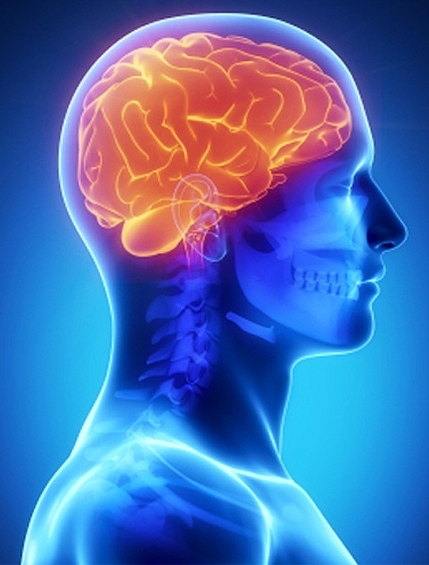 Even though it was turned off, participants reported experiencing pain, and this was accompanied by activity in pain areas of their brain (hypnosisandsuggestion.org). Many doctors, dentists, psychologists, nurses and other health professionals make use of hypnosis. A hypnotherapist either leads patients through relaxation, mental imagery and suggestions, or teaches them to perform the techniques on themselves, often with the help of audio recordings. Hypnosis is an extremely effective treatment for both acute and chronic pain. A person in pain does not immediately feel less pain if they are hypnotized; they must first be given a suggestion such as ‘your arm is beginning to feel numb and insensitive’. A study of chronically ill patients reported a 113% increase in pain tolerance among highly hypnotizable individuals compared with those who did not undergo hypnosis (Micozzi & Jawer, 2015b). Research shows that hypnotic pain relief is not dependent on the body’s natural painkilling system – the production of opiates (hypnosisandsuggestion.org). In the early 19th century some surgeons used hypnosis to perform pain-free operations, but its use declined with the development of anaesthetics. During the Second World War, when field hospitals ran short of the drugs needed to treat wounded soldiers, hypnosis was sometimes used to provide pain relief and alleviate the suffering of often severely injured patients. Recently there has been a resurgence of interest in using hypnosis alongside modern anaesthetics. Some people have learned to tolerate dental work (e.g. drilling, extraction and periodontal surgery) using hypnosis as the sole anaesthetic. There are also reports of Caesarean sections being performed with hypnosis as the sole anaesthetic. Hypnosis has proved effective in treating asthma and various skin conditions (such as warts and itchy skin). It has also proved helpful in treating anxiety conditions (including phobias, panic and post-traumatic stress disorder), depression, and irritable bowel syndrome. Hypnosis is less effective in treating alcohol and drug addiction and obesity. The most important factor in the latter cases is patients’ determination to achieve their goal. Hypnosis is frequently used to revisit events from an individual’s past. It is used, for example, to recover ‘lost’ or ‘repressed’ memories in those who suspect they might have suffered childhood sexual abuse or ‘alien abduction’, and to regress people to past lives. However, under hypnosis a person is less able to distinguish fact from fantasy, and there is abundant evidence that hypnotized people can create powerful false memories, especially if the hypnotist shares their beliefs and asks leading questions (see Life beyond death, section 10; UFOs, section 8). The same problem applies to the use of hypnosis for forensic purposes: ‘hypnotically elicited recollections are not necessarily true, no matter how vivid and subjectively compelling they may be to the hypnotized person or to an observer of his/her behavior’ (Perry, 2013). In such a situation, what appears to be a demonstration of power exercised by one person over another is, in reality, a willingness on the part of the hypnotized person on stage to abide by the license to entertain an audience by acting silly. A very different position is taken by Jeremy Wheeler (2005). He worked for many years as a hypnotherapist and later became a successful stage hypnotist, but eventually gave up his lucrative career when he realized that what he was doing was morally wrong and dangerous. He argues that some people can be made to do anything under hypnosis, depending on their depth of trance and the hypnotist’s skill. Hypnosis can open the door to the subconscious, where memories of painful and traumatic events are sometimes locked away, and this can result in a sudden release of emotional distress. A person under hypnosis is also more susceptible to the unconscious thought patterns of the hypnotist and other people around them. Wheeler concludes that hypnosis can make people emotionally and mentally unbalanced, or push those already unbalanced towards insanity. This applies not only to volunteers but also to other members of the audience, who sometimes fall into trance and even follow the suggestions given to the participants on stage. There is also a risk that a hypnotized person will fail to emerge fully from a trance. Hypnotists often claim that this is not serious and simply means that ‘the hypnotized person finishes up having a prolonged sleep’ (Perry, 2013). However, Wheeler reports the case of a young lady who had taken part in a hypnotic show performed by one of his colleagues. Four days later, she was shopping in a supermarket when music started to play in the background that was the same as the music played during the show. Suddenly she started to prance around the shop as though she was a famous model. Her friends realized what was happening, and Wheeler was later able to slowly bring her out of trance. Some hypnotists refuse to accept that the accidental restimulation of hypnotic suggestions is possible, and dismiss all such accounts as fables (Newton, 2013). In 1993 a young British mother called Sharron Tabarn participated in a hypnotic show (dangers-of-hypnosis.co.uk; MacDonlad, 1994). To bring her out of hypnosis, the hypnotist told her: ‘I’m going to count from one to three and clap my hands, and you’ll then feel 10,000 volts of electricity shoot through your chair, and it will hurt!’ Five hours later Sharron was found dead in her bed; the cause of death was fluid in the lungs and inhaled vomit. Her mother revealed that Sharron had had a great fear of electricity ever since receiving a bad electric shock as a child. After the show, she had a headache and seemed not fully awake, as if still partially entranced. The Home Office pathologist said it was hard to believe her death was not linked to hypnosis, but the inquest returned a verdict of accidental death. The woman’s MP said he had received letters from all over the UK giving disturbing accounts of the effects of stage hypnosis. Another case that made the news is that of Chris Gates, who began behaving like a child days after being given regressive hypnosis on stage by a disc jockey turned hypnotist. He was diagnosed as schizophrenic, and four years later he was still hearing voices and was on permanent medication. In court, the hypnotist said he would never subject volunteers to a traumatic, frightening and humiliating ordeal. Yet one of his stunts was to suggest to people that they were in a straightjacket and a ferret was inside that jacket. The court acquitted him of any wrongdoing. Other reported casualties of stage hypnosis include a man whose arm was paralyzed for a week after the show, a man who afterwards attempted suicide, and a participant who became a compulsive eater of onions after being told to eat them instead of apples (dangers-of-hypnosis.co.uk; news.bbc.co.uk). Hypnotherapists will insist that the dangers of stage hypnosis do not apply to their own work. But there are many reports of unpleasant or even dangerous effects being experienced after any kind of hypnosis. Wheeler came to doubt the value of therapeutic hypnosis: ‘Any cure or healing via hypnosis is generally only temporary, and a new and different condition then surfaces, or the old condition returns’ (2005, 163-4). Telling clients under hypnosis that they are more confident and have greater self-esteem may make them feel that way for a while but it does not remove the root causes of these conditions. Rather than hypnosis being like software that reprograms the brain, Wheeler describes it as ‘more of a computer virus, or an outside influence taking control of your inner mind’ (183). A person under hypnosis gives up their freedom and self-control and enters into a passive state that allows the hypnotist to impose their will on them. Wheeler comments: ‘Surely the purpose of life is to master ourselves, not to surrender our minds and our will to another’ (157). Freud originally used hypnosis to uncover forgotten traumas or impressions in his patients, but soon found that ‘free association’ and dream analysis were just as effective. Assagioli (1965, 97-8) argued that, in general, hypnosis should not be used in psychotherapy because it tends to make the patient ‘too passive and dependent upon the therapist-hypnotizer’. It should only be used in exceptional cases, e.g. ‘for urgent symptoms such as continuous vomiting during the early gestation period or compulsive hiccups’. He believed that hypnosis was also useful as an anaesthetic in dental practice and minor surgery, especially when ordinary anaesthetics cannot be used due to a heart condition or some other physical condition. A hypnotic induction is, in fact, a form of trespass upon the private mental territory of another’s essence. This is territory that we should only enter respectfully if invited in, and we must be careful to close the gate properly when we leave. Using hypnosis repeatedly with an individual is ultimately weakening to them, because it can put out the spark of volition by making them increasingly open to suggestion, and not only to the suggestions of their therapist. That is one reason that therapy should be as brief as possible. The views of several theosophical writers on hypnosis are presented in section 10. One form of psychic healing involves stroking an afflicted part of the body or making passes with the hands above the skin. This is also called ‘magnetic’ or ‘mesmeric’ healing; other names include therapeutic touch and healing touch. This form of healing has been successfully practised throughout the ages. It enjoyed a resurgence of interest in the 18th century due to the work of Franz Anton Mesmer, who used it to treat a variety of psychological and psychophysiological disorders, such as hysterical blindness, paralysis, headaches and joint pains. He attributed its effect to a subtle fluid, which he called ‘animal magnetism’. According to the theosophical tradition, this type of healing involves the transfer of prana or vital energy from the healer to the diseased person (see Electromagnetism, subtle energies and health, section 7). This restores health by rectifying the inharmonious vibrations in the part of the body concerned. G. de Purucker states: ‘Such cures can be permanent; usually they are temporary.’ He adds that there is no harm in these healings if the magnetizer is physically healthy, mentally well balanced and morally upright (Studies in Occult Philosophy, 623). Psychic healing also includes healing at a distance, by directing positive thoughts towards the patient. According to theosophy, thoughts are not simply electrochemical patterns in the brain, but subtler, elemental forms of energy-substance. There is evidence that distant mental healing can help alleviate pain, accelerate recuperation from injury or disease (especially stress-related illnesses), and promote spontaneous remission of disease. Laboratory experiments support the idea that people can be affected from a distance by directing either loving or malevolent thoughts at them. Psychologist William Braud and his colleagues conducted experiments over a 17-year period in which volunteers attempted to influence other people’s nervous systems remotely. All the experiments combined resulted in odds against chance of more than 100 trillion to one. In some experiments, one person (the sender) was instructed at random times to attempt to arouse or calm the distant person (the receiver) solely by thinking about them. The sender and receiver were always separated by distance and sometimes by special soundproof and electromagnetically proofed rooms. The receiver was wired up to a monitor that measured the conductivity of their skin; electrodermal activity is effective in detecting unconscious fluctuations in emotion. The average effect size over a total of 400 individual sessions was about 53%, compared with a 50% figure for chance. This provides evidence for successful remote influence of electrodermal activity with odds of 1.4 million to 1 (Radin, 1997, 153-4). Another distant-influence experiment showed that a person can slow down the rate of destruction of red blood cells taken from their body – with odds against chance of nearly 200,000 to 1 (Broughton, 1991, 329-30). Bernard Grad’s experiments in the 1960s with a Hungarian healer, Oskar Estabany, showed that the healer was able to speed up wound healing in mice by placing his hands around their cage twice daily for 15 minutes, and that watering barley seeds with saline water from bottles that the healer had held in his hands led to healthier growth than watering the seeds with untreated saline (332-3). After being taught the laying on of hands by a successful healer, researcher William Bengston treated five mice infected with breast cancer of a type known to cause death within 27 days. Chinese research on qigong external emission (QGEE), or qigong waiqi, has demonstrated measurable effects on various biological and chemical preparations. One qigong master was able to make his influence felt at a distance of 7 to 10 km, and even as far away as 2000 km. When he was instructed to direct his qi (chi) toward a preparation for 10 to 15 minutes, dramatic shifts were detected in the spectral characteristics of tap water, as if the molecular structure was being temporarily altered. He was also able to produce certain chemical reactions under conditions in which they should not occur and alter the ultraviolet-absorption characteristics of DNA and RNA preparations (Broughton, 1991, 333-4). 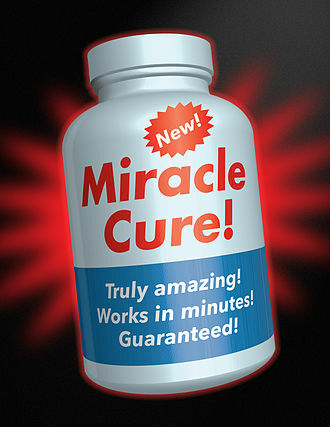 The 19th century saw the emergence of ‘mind cure’, a healing practice based on suggestion, faith and positive thinking. It was practised by the New Thought movement, a loosely affiliated network of spiritual healers, and by the Christian Science movement, founded by Mary Baker Eddy, a gifted healer. William James (1917) identified the key theme of mind cure as ‘an intuitive belief in the all-saving power of healthy-minded attitudes’. He argued that this belief ‘has in a general way been corroborated by the practical experience of their disciples ... The blind have been made to see, the halt [lame] to walk; lifelong invalids have had their health restored’ (93). He described Eddy’s Christian Science sect as ‘the most radical branch of mind-cure in its dealings with evil. For it evil is simply a lie, and any one who mentions it is a liar’ (105). According to Eddy, ‘the cause of disease obtains in the mortal human mind, and its cure comes from the immortal divine Mind’ (christianscience.com). She held that only mental means should be used to cure disease. Many mind-curers argued that when we are ill we should deny that we are really ill. As W.Q. Judge pointed out, thinking of ourselves as being well when we are sick ‘is an error in philosophy and in truth’, and it is harmful because false thoughts bewilder the mind (Echoes of the Orient, 3:398). H.P. Blavatsky stated that mind-curers ‘have done more harm than good. Those who are successful owe it to their innate magnetic and healing powers, which very often counteract that which would otherwise be conducive to much evil’ (Collected Writings [CW], 12:603). H.P. Blavatsky explains that there is a huge difference between mesmerism and hypnotism, which use completely different methods. A hypnotized person is in a form of trance and is 90% or more unconscious of what is going on around them. G. de Purucker says that our higher mental and spiritual nature (the upper triad) is temporarily expelled, leaving the lower, personal self (the lower quaternary) ‘unensouled’ (Studies in Occult Philosophy [SOP], 404-5). Blavatsky says that the higher mind (or manas) of a hypnotized person is paralyzed, and the spiritual intelligence (buddhi) is consequently severed from it, while the astral body is entirely subjected to the lower mind (lower manas and kama-rupa) (CW 12:566). To put it another way, when someone is placed in a hypnotic trance, their psychomental apparatus, or intermediate nature, is forcibly displaced from its normal seat to some extent, leaving the vitalized human body (the lower triad: physical body, astral body and prana) ‘still receiving, but in a minor degree, the stream of spiritual-intellectual individuality pouring forth from the two superior duads’ (atman-buddhi and manas-kama). The different degrees of insanity likewise involve varying degrees of dislocation or ‘absence’ of the intermediate nature (The Esoteric Tradition, 520-2). Similarly, if a person under hypnosis is told they are being touched with a hot poker, the picture impressed on their astral body leads to the formation of a blister on the physical body. The appearance of the stigmata (the wounds Jesus allegedly suffered on the cross) on the bodies of certain fanatics in a state of religious ecstasy results from a form of self-hypnotization; the picture they imagine on the astral level is impressed on the ever-changing molecules of the physical body (Echoes 1:415-6). Purucker likens hypnosis to a mental drug. It may cure a person of drunkenness or some other addiction, but the result is unlikely to be permanent because the effect is achieved through stupefaction, instead of by strengthening the sufferer’s willpower and helping them to control themself and conquer their weakness (SOP 409-14). He concludes that hypnotism is almost always bad because it weakens the will, whereas mesmerism can soothe the nerves without weakening the will (SOP 652-4). He states that both hypnosis and this kind of self-hypnosis should be avoided. No one should practise suggestion with the intent of controlling the will or thought of another, but only to encourage others to do what is right. We should also constantly practise self-suggestion with a view to our own purification and upliftment.